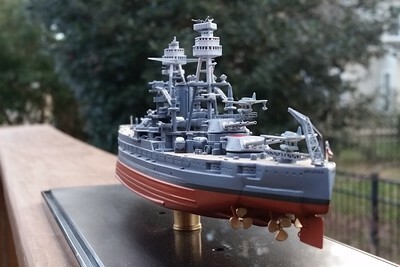 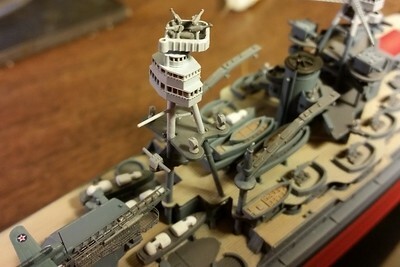 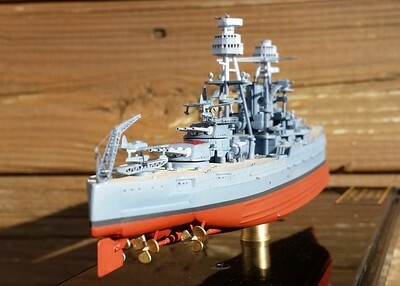 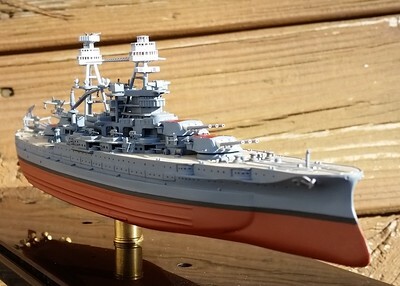 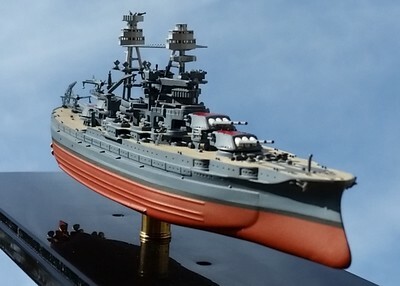 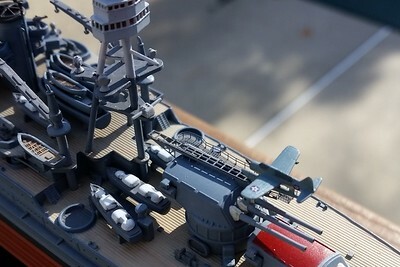 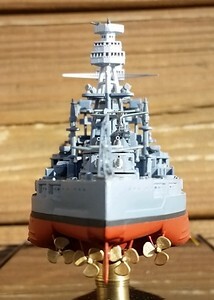 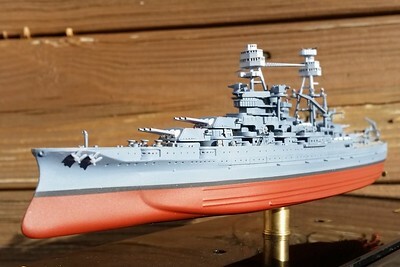 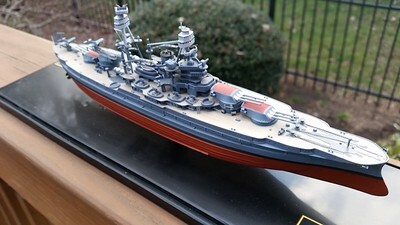 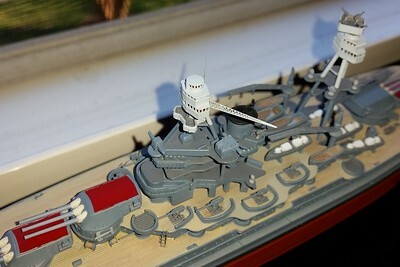 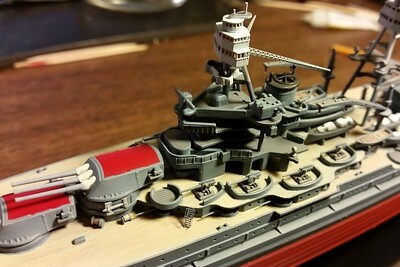 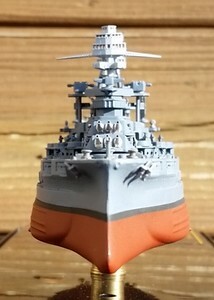 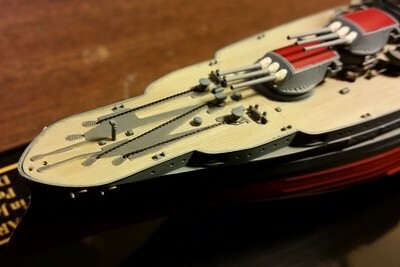 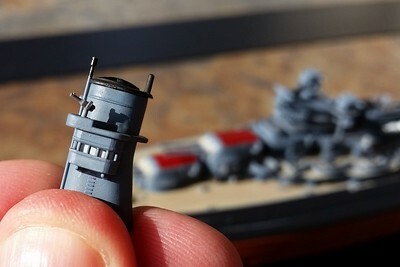 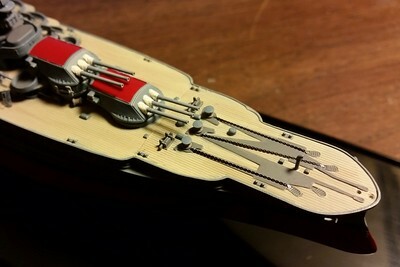 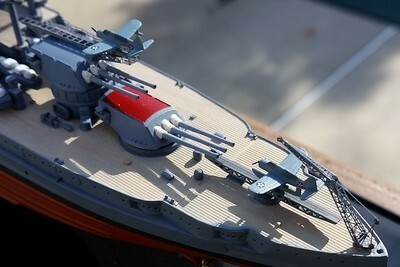 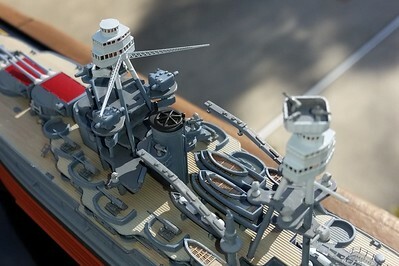 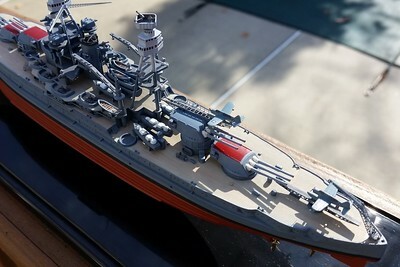 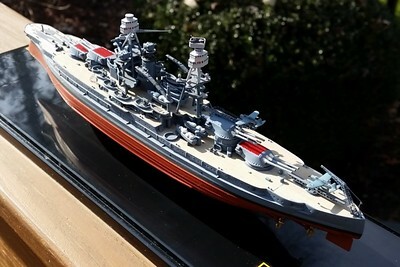 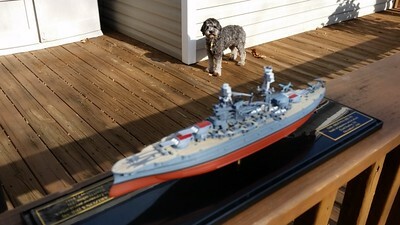 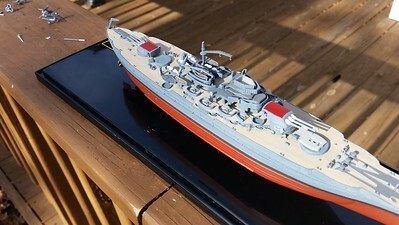 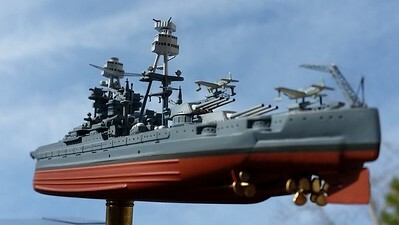 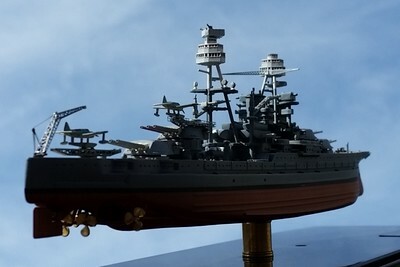 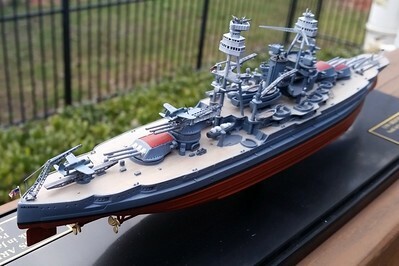 Dragon kit in 1/700 scale; PE by Gold Medal Models and 5"/51 barrels by Master Models. 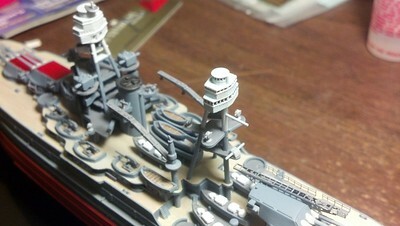 Paint is MM Acryl 5-O Ocean Blue. 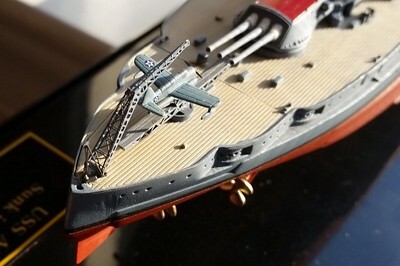 Lucy, Supervisor of Shipbuilding (SupShip). 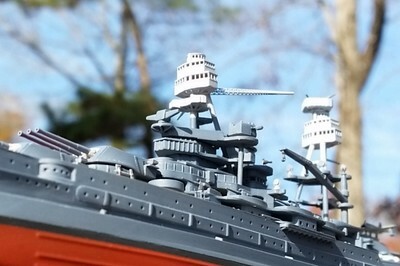 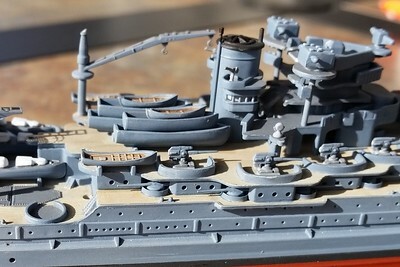 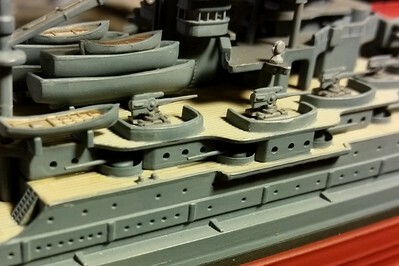 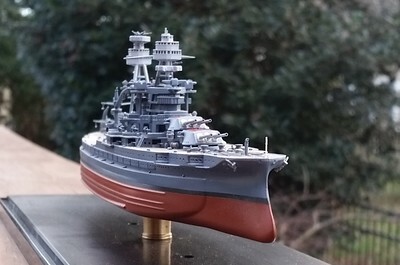 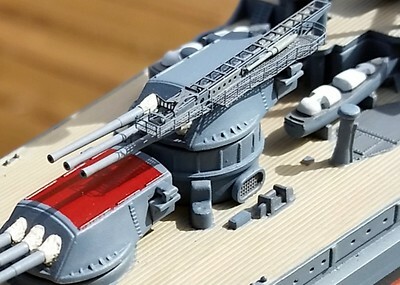 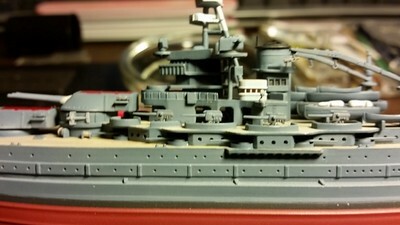 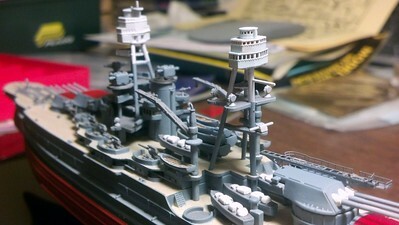 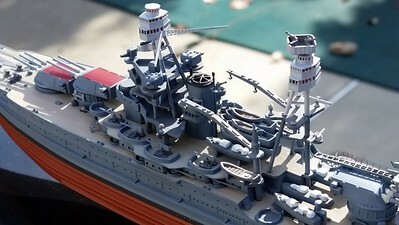 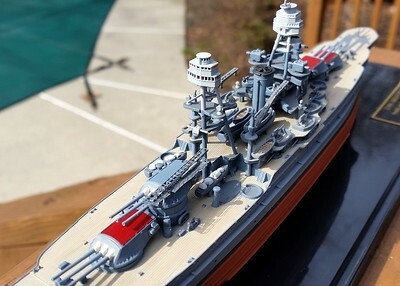 151208 BB-39 upgrades: Fighting tops from 3D Model Parts with PE yardarms by GMM. 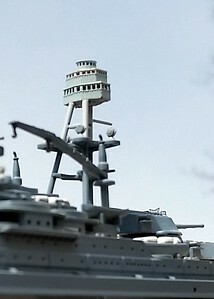 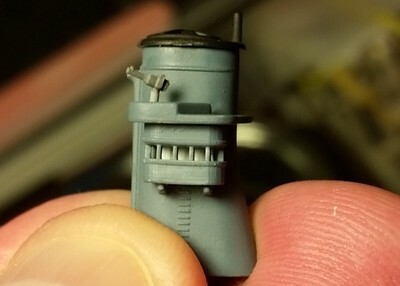 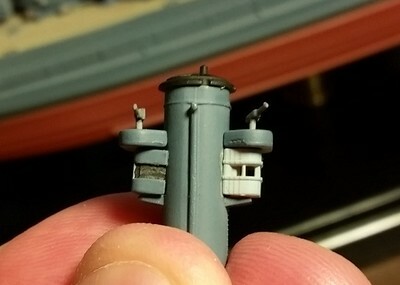 151205 BB-39 upgrades: replacement AA direction station from 3D Model Parts. 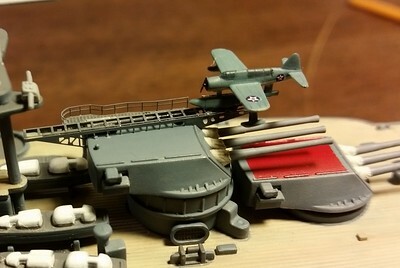 150316 BB-39 upgrades: Fwd aircraft catapult from GMM. 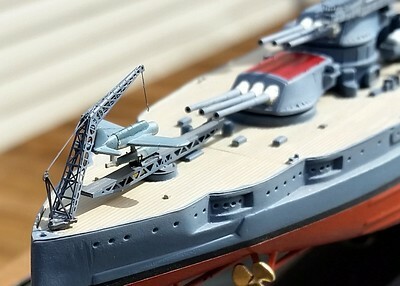 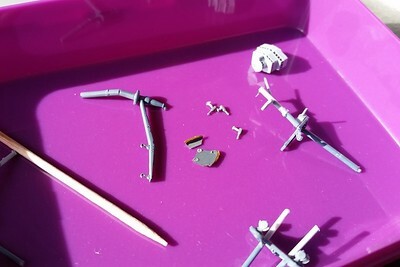 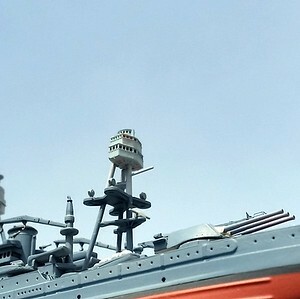 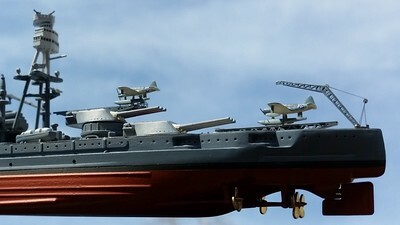 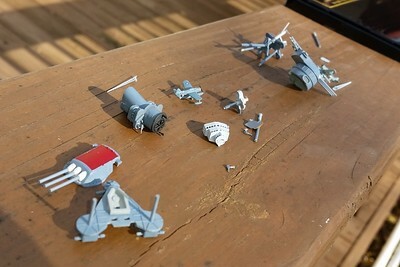 150316 BB-39 upgrades: Aft aircraft crane and catapult from GMM. 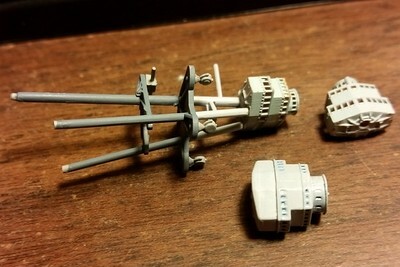 150311 BB-39 upgrades: Aft Fighting Top from 3D Model Parts.